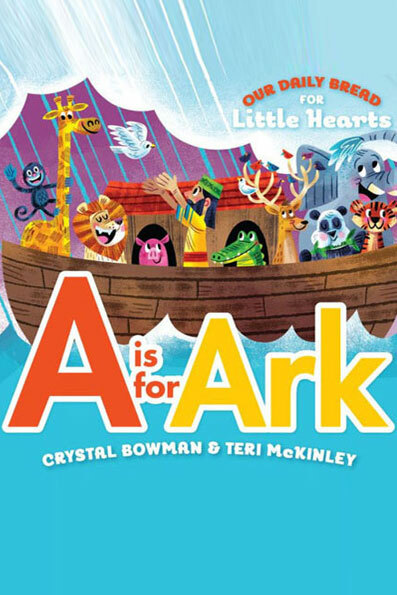 Crystal Bowman and Teri McKindley team up again for the “Our Daily Bread for Little Hearts” Series. God Loves People—and Animals Too! Share the amazing story of Noah’s ark with your little ones and help them see how God takes care of both people and animals. 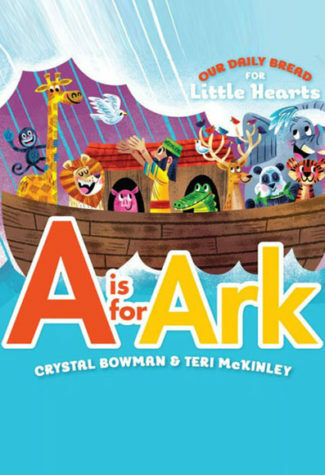 Our Daily Bread for Little Hearts: A is for Ark brings Noah’s story to life, while showcasing all twenty-six letters of the alphabet. Providing an engaging, interactive experience for toddlers, this adorable book features colorful images paired with delightful rhymes. Get ready for an exciting learning adventure with your little ones! Follow the letters from A to Z and see what you can find. There will be lots of animals—two of every kind!